Wow, another scorching weekend, but luckily I managed to get all of my orders done with little issue. 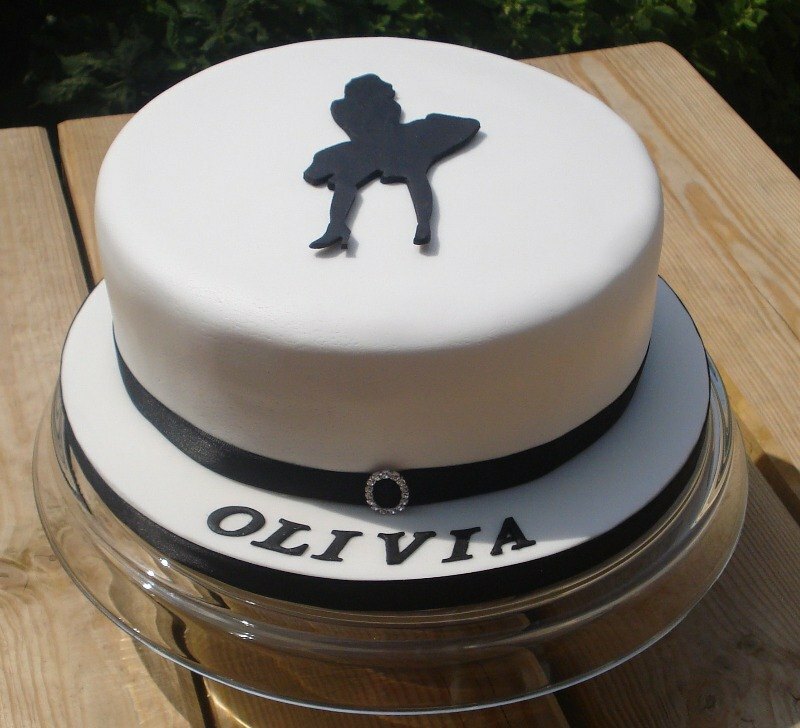 First up was a truly sophisticated cake for a 14 year who idolises Marilyn Monroe. I handcut the silhouette of Marilyn (in possibly her most famous pose) and then a diamante ribbon brooch finished the cake perfectly. It was a 9" vanilla sponge with jam and buttercream filling. 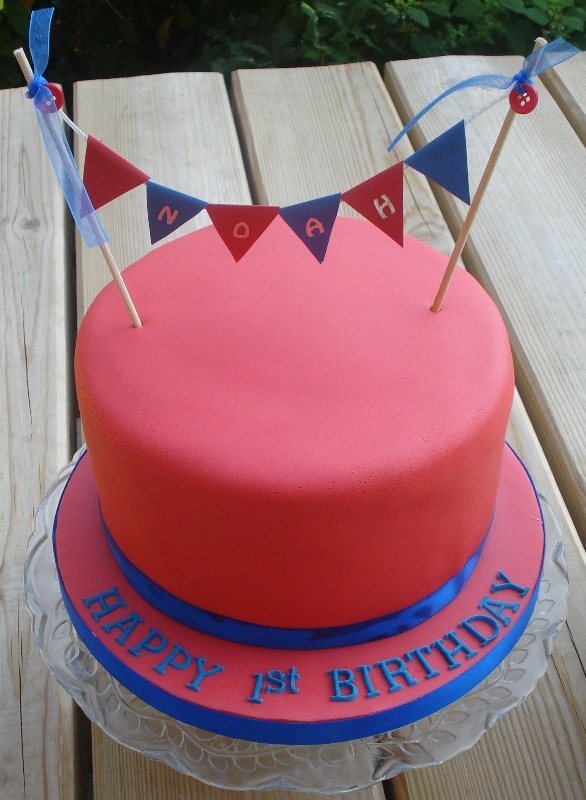 Next was cakes for twins turning one. Callum wears a lot of green and yellow and Noah a lot of red and blue, which dictated the colour schemes. I got crafty with the bunting and made it myself, it's a really simple but effective decoration. Noah's was vanilla, Callum's was lemon. 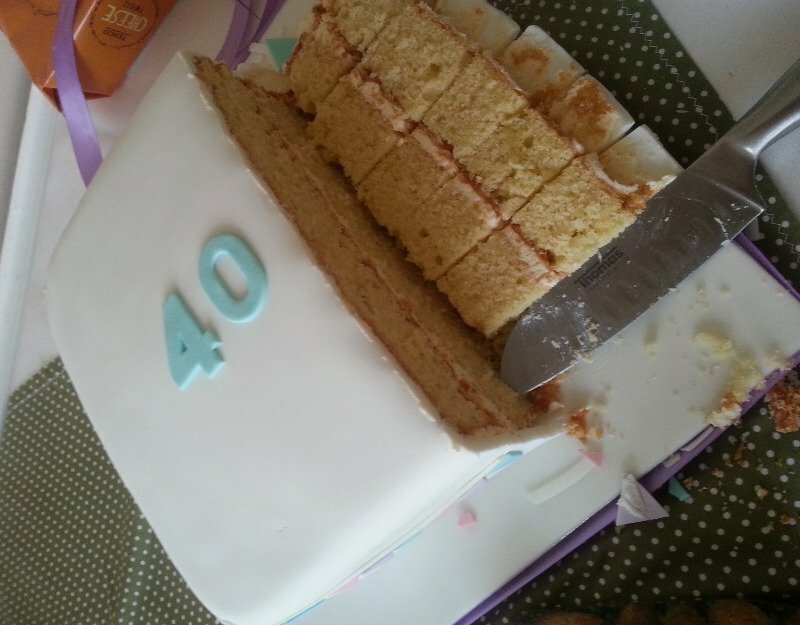 Shhhh, don't tell anyone, but the twins' mum turned 40 too, so she needed a cake too! 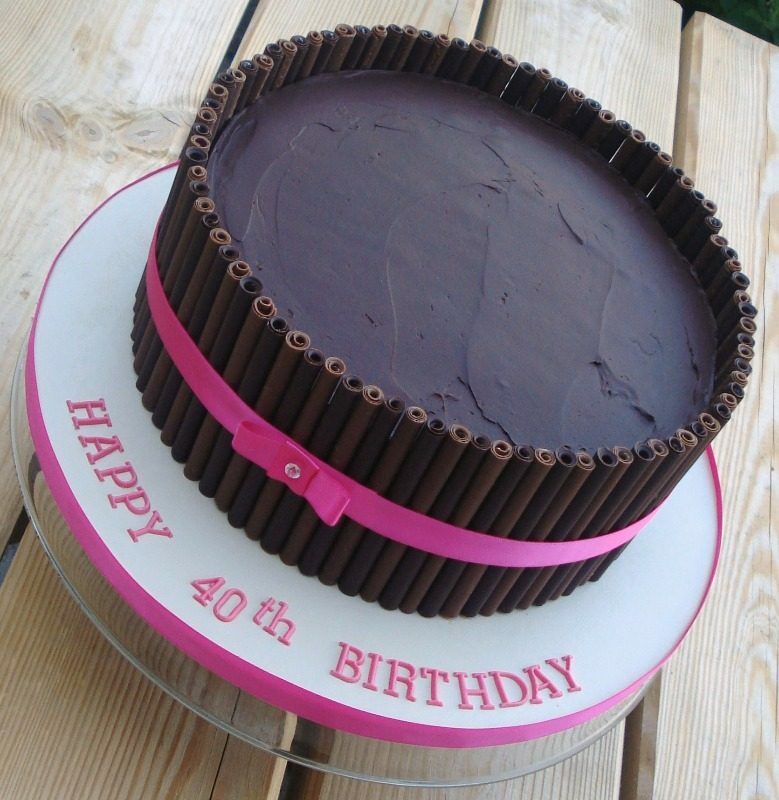 This one was chocolate cake filled with chocolate buttercream, encased in chocolate ganache and then surrounded by milk & dark chocolate cigarellos, she added raspberries herself. It smelt amazing and I've heard it didn't last very long, she only just managed to get a slice herself! This cake was a suprise for a 40th birthday, ordered for a lovely lady by her husband. She's rather partial to a glass of wine so this was an ideal design! Her husband came up with the label wording! 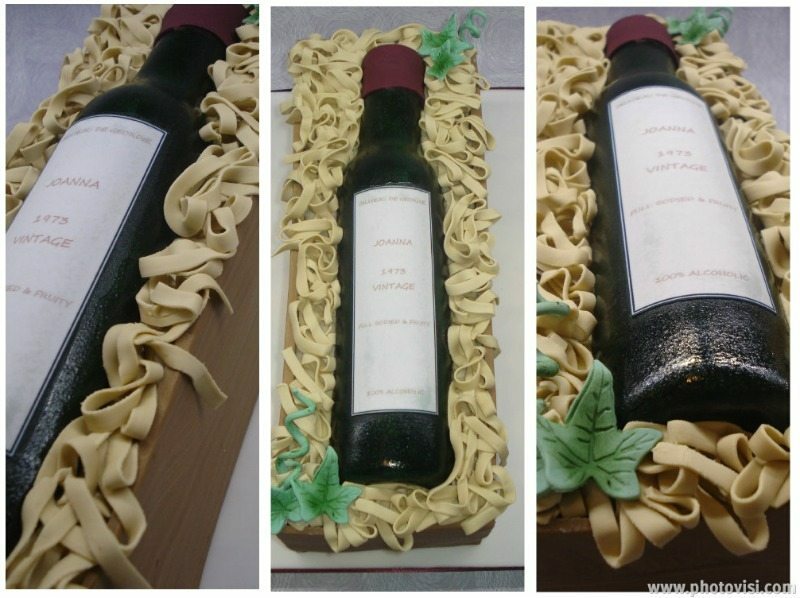 Everything is edible, the bottle is made from sugarpaste and is actually hollow! It was handpainted and glazed to make it look like glass. Luckily, she loved it and remarked 'I can never cut it' shortly followed by 'where's the knife?"!!! This last cake was for the same birthday girl, and was ordered for an open house she had to celebrate her big day. It was a 9" vanilla sponge and the second photo shows just how many portions you can get from one of my cakes, people often think I am recommending a really small cake, but remember they are so much deeper than a shop bought cake. 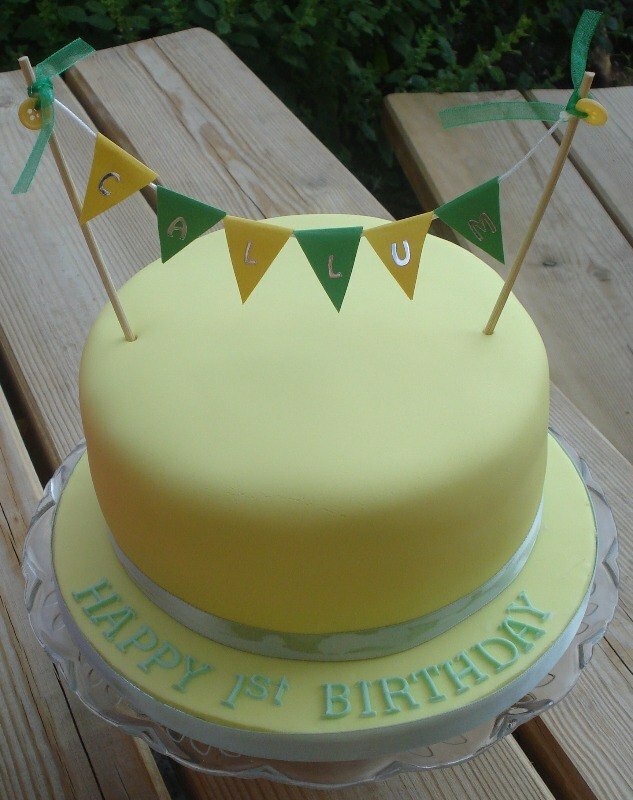 Remember, if you want to book a cake, you can never be too early, my diary is already filling up, even into 2014.